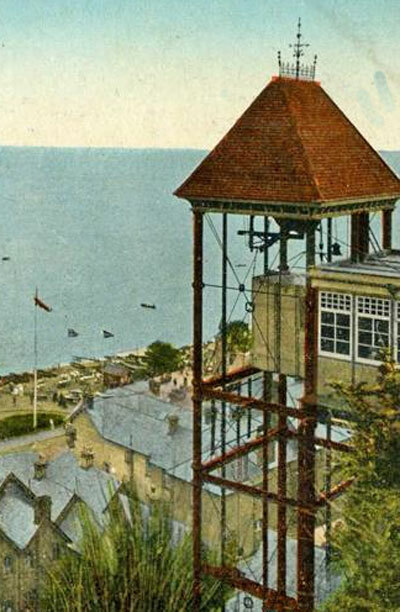 The first lift to connect the town of Shanklin with the Esplanade was constructed about 1892. It was a hydraulic lift and the cage moved through a open, metal framework. During WW2, the lift, along with the Spa hotel on the Esplanade, was damaged by enemy action. 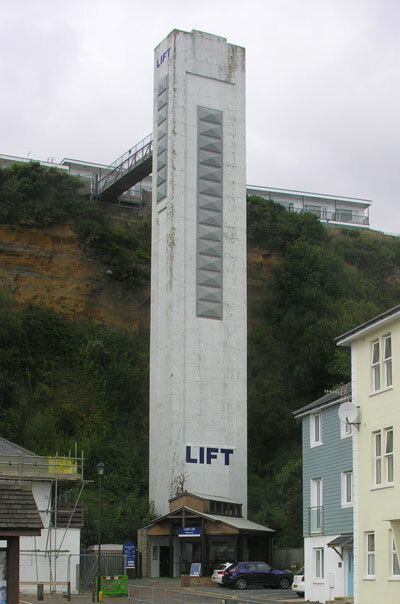 The lift was demolished in 1957 by using explosives, a new lift was built and opened in 1958.